Increasingly, people are trading in their expensive cable subscriptions, to use cheaper or free Internet TV instead. In recent years this has become much more convenient with help from a variety of easy-to-use media players, Kodi boxes included. Following this trend, there has also been an uptick in the availability of unlicensed TV streams, with vendors offering virtually any channel imaginable, for free or in exchange for a small fee. Rightsholders are not happy with this development and are actively cracking down on sellers of these illicit services and devices. 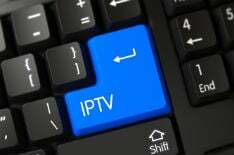 This week one of the largest IPTV piracy groups was dismantled in Europe. The operation was headed by the Spanish National Police, with help from Bulgarian authorities, Europol and Eurojust. The investigation was triggered by a complaint from the UK-based Premier League. In total, 12 searches were carried out in both Spain and Bulgaria, leading to the arrest of eight people that are allegedly connected to the dismantled piracy group. The enforcement effort, dubbed “Operation Casper,” found that the piracy ring was operating through several shell companies. Two legitimate ISPs were setup in Spain and Bulgaria, through which the group offered their IPTV services. “Operation Casper began when a representative from a broadcast rights holder filed a complaint against the owner of an Internet Service Provider located in Málaga (Spain), for illicitly distributing pay-TV channels to thousands of clients in different EU countries,” Europol writes. The owner of the two ISPs is a Danish citizen, the investigation revealed. This man is being seen as the mastermind behind the IPTV piracy ring which offered its services throughout Europe. This is not the first time that Spanish police have raided a company that provides unauthorized IPTV services. A similar operation took place last year. That case was also based on a Premier League complaint and involved a local Internet provider as well.